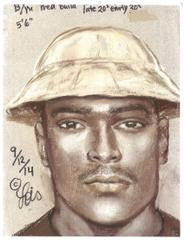 HCSO homicide investigators need the public’s help in identifying and locating a suspect wanted for last month’s murder of a good Samaritan in east Harris County. Attached is a composite sketch of the suspect wanted for the September 12 shooting death of Mark Anthony Horton. That day, at around 6 a.m., deputies responded to a shooting in the 700 block of Frankie in east Harris County. When deputies arrived, they found Horton, 49, dead from apparent gunshot wounds. 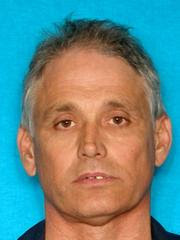 Horton was shot and killed while attempting to stop a woman from being robbed by the suspect. Anyone with information on the suspect’s identity and/or location is asked to contact Crime Stoppers at 713-222-TIPS (8477). Crime Stoppers will pay up to $5,000 for any information that leads to the filing of felony charges or arrest of wanted fugitives. All tipsters remain anonymous.